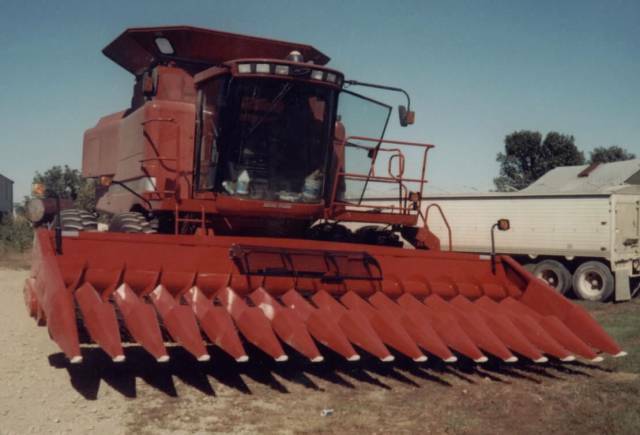 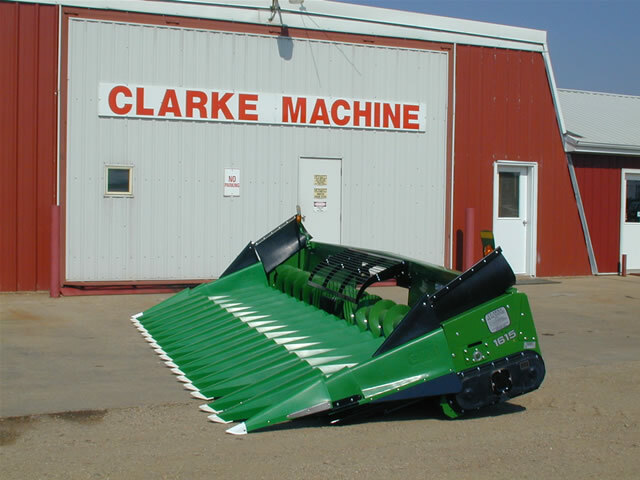 All Clarke Machine 15 inch Cornheads (Pat. 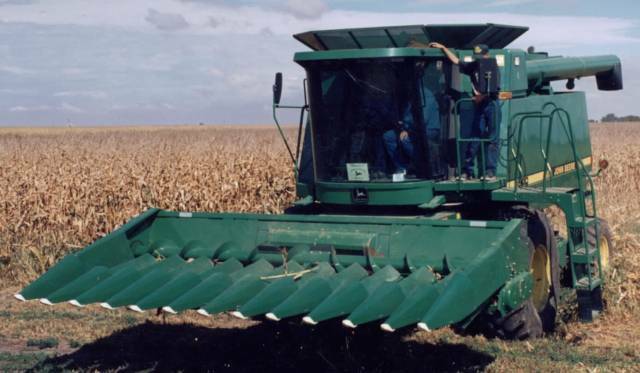 6516599) are built with 2 gathering chains per row and Poly Row Dividers. 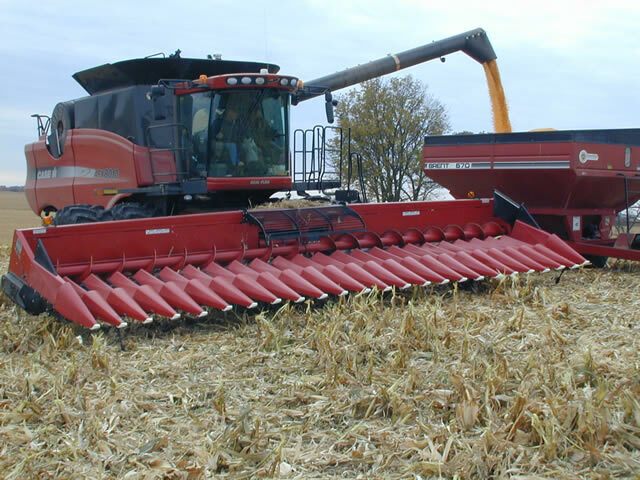 Our 15 inch heads have picked in adverse conditions such as down and tangled corn. 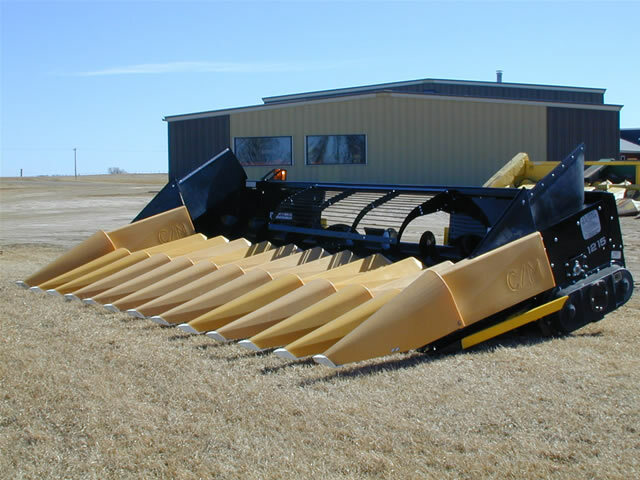 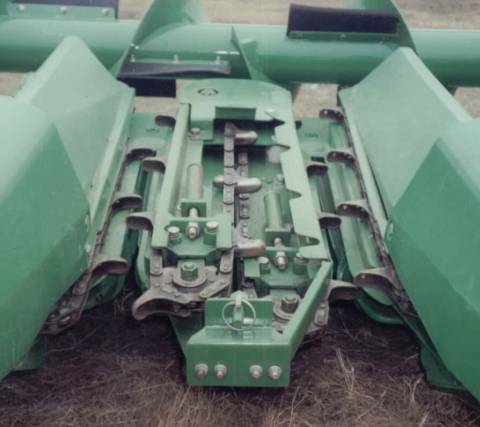 Clarke Machine's 15 inch heads can be used to pick any row width at 45 degree or 90 degree angles to the corn rows. 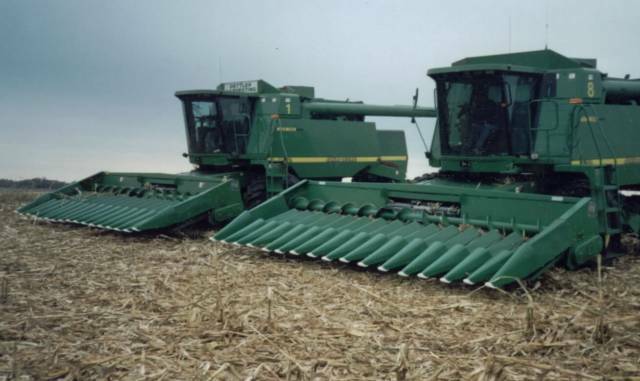 In the past, our heads have picked 7", 10", 12", 15", 19", and 30" corn rows. 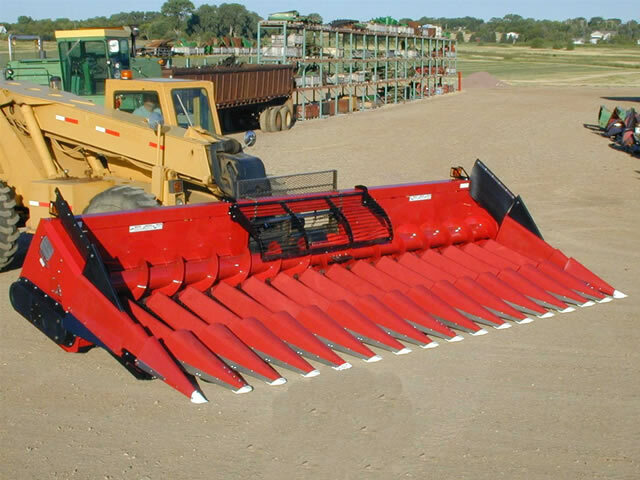 We have built 15" heads with the following numbers of rows: 8, 10, 11, 12, 16, 17, 18 and 24. 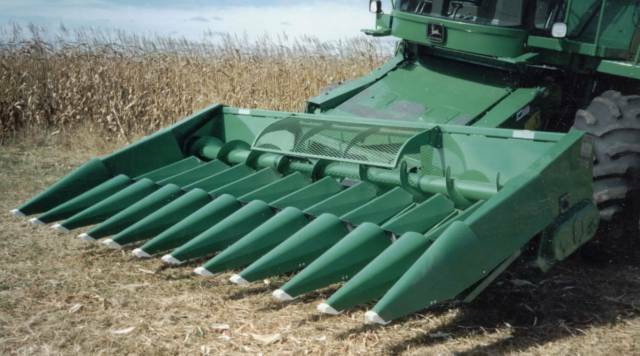 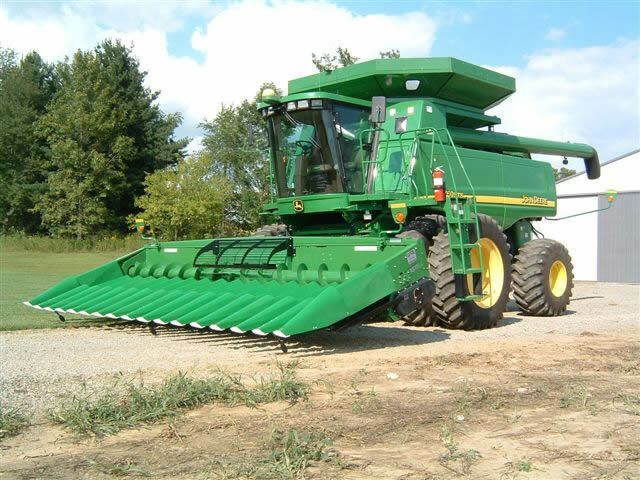 Any number of rows could be built, but the amount of weight that the combine will pick up is the only barrier.